Understanding how a new crane will fit into your existing facility, and how the structural and design factors of an existing runway and supports can be utilized. 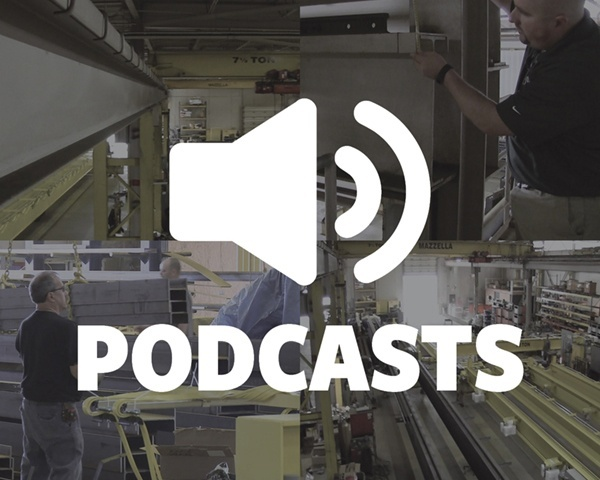 Whether you’re thinking about adding a new overhead crane, or possibly replacing an existing crane in your production or manufacturing facility, it’s always a good idea to understand the basic design requirements and specifications of the project. Having a clear understanding of the space available in your building, the existing building supports that the crane can be installed on, and any overhead obstructions, will help you lay out the design criteria and expectations for any crane manufacturer who bids on the project. The more information you can gather upfront, the more information the crane manufacturer will have to take back to their engineering team to put an accurate quote and project specification together. Also, the better you understand the design and specification requirements for your own crane system, the better equipped you’ll be to compare the different quotes you receive against the project criteria. Laser pointer – An inexpensive one can be found at hardware or home improvement stores for $65-70. More expensive ones with longer ranges are typically $130-150. Measuring the runway beam height will ultimately give you a better understanding of the total height of your crane system. Getting measurements of the actual runway beam is as simple as running your tape measure from the bottom of the beam up to the top if you have easy access to the beam. If you can’t get to the beam, you can stand underneath it and use your laser pointer to get a measurement to the top flange, and then get a measurement to the bottom of the beam and subtract the difference. This will give you your beam height. If you’re able to get up close to the beam, you can measure the flange width, as well as the flange thickness. If the runway beam has a cap channel added for extra reinforcement, getting measurements for the width of the flange, toe, and thickness of the cap will also help the engineering team understand the crane’s design requirements. You can match the size of the wheels to the size of the rails for proper alignment and tracking of the crane as it moves down the runway. This can help prevent premature or excessive wear of the rails and wheels, but also to the beams and structural supports themselves. A properly sized wheel will prevent design changes to the runway rail so the customer can still utilize the original structure in place. This can be a significant cost-savings to the customer if the runway beams and rails can be re-used. The crane span is the measured center-to-center distance between the runway beams. One of the most important measurements you can provide during an overhead crane consultation is the crane’s span. An overhead crane’s span is essentially its width across the bay—or the measured center-to-center distance between the runway beams. It’s important because it determines how much material is required to build the bridge girders and most significantly affects the cost of the overhead crane. During this step, you want to get measurements near the exact measurements to give the estimators and engineers enough information to put a quote together. However, if you move forward with the project, the approval drawings will provide the exact measurements required. Consider how long your runway needs to be and understand the number of building column supports available to support the deadweight and load of the crane. Make sure you understand how close your crane will be to overhead obstructions like AC/furnace ducts, electrical and gas lines, water pipes, light fixtures, and building headers. 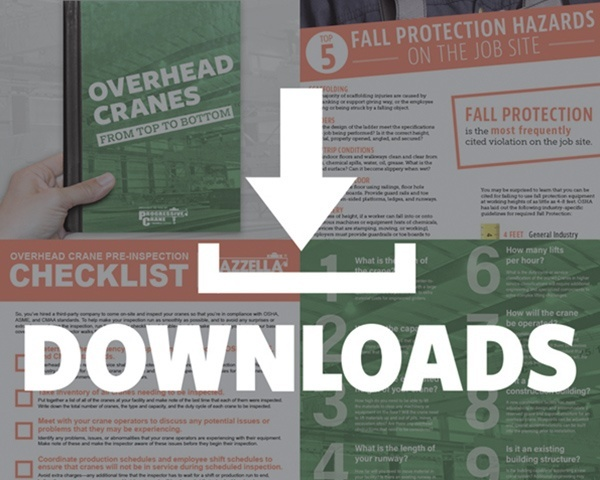 You’ll need to know if your crane is a top running or under running design. This will determine the maximum height of your crane system. A top running crane runs on top of the runway beams and will be closer to any overhead obstructions, while an under running crane hangs off of the bottom flange of the runway beam. You’ll then need to determine how close your crane will be to any of the obstructions mentioned above by measuring from the top of the crane to the bottom of any possible obstruction—ensuring the overhead gap is at least 3” and your crane runway beams and supports are at least 2” from any possible lateral obstruction. Overhead crane classifications are based on usage of the crane, how hard the crane will have to work, and the type of environment that the crane will be working in. 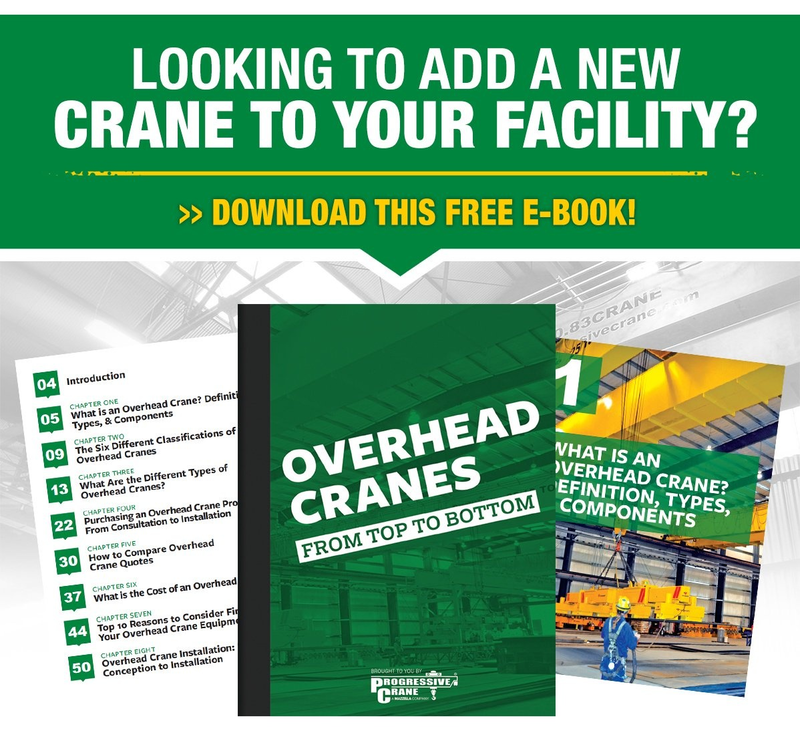 Selecting the right class and duty cycle for an overhead crane is critical for a customer who is trying to balance the initial investment of a crane system with the cost of future maintenance that will be required. Crane service classifications allow you to select and build an overhead crane that is the most economical and safest design for your lifting application. Selecting the right duty cycle or service classification of an overhead crane helps ensure that the components of the overhead crane are durable enough to withstand the load and usage requirements. Two cranes with an equal capacity and span could vary in price as much as $100,000 because high duty cycle cranes (Class D, E, or F) require specialized components like the hoist, end trucks, motor, bearings, and controls. Low duty cycle cranes can get away with more standardized and economical components—resulting in significant cost savings. When designing an overhead crane, you'll also want to give special consideration to any future usage requirements. If you think that your production may expand down the road which may result in higher capacity lifts or an increase in the number of lifts per day, then you may want to spec out the crane and components so it can accommodate your future growth. At Progressive Crane and FHS, Inc. we have over 40 years of experience engineering and building custom solutions. 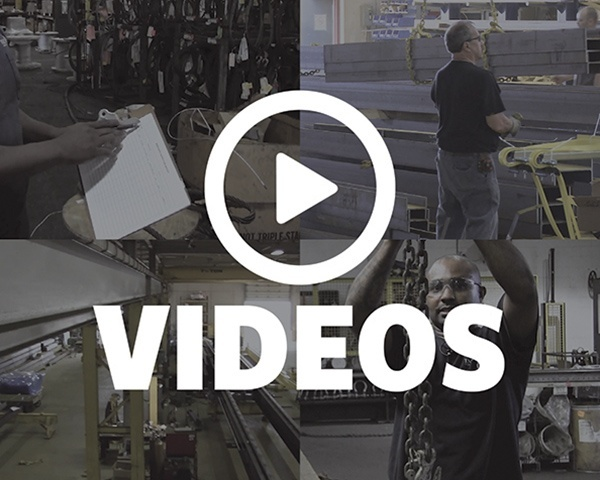 We partner with customers who have all types of experience in designing specifications for an overhead crane and we can build anything from light-duty economical cranes to large-capacity, high-duty cycle cranes. 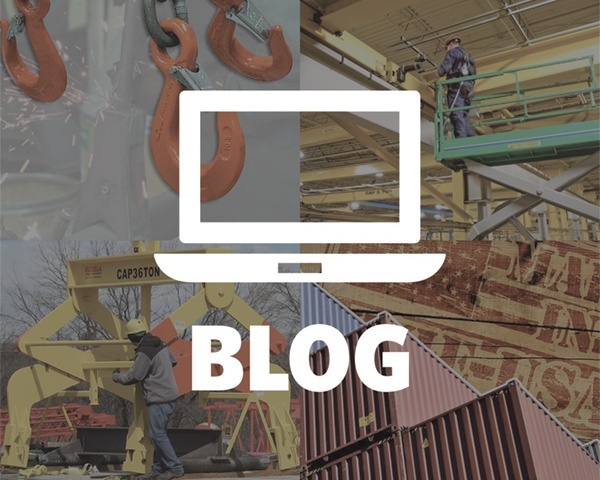 We welcome the opportunity to address your overhead material handling needs—if you’d like to schedule a consultation on your next project, contact us to speak with a Crane Specialist.